Monday is the first of October—I know, I can’t believe it either—which means I’ll post the first of five spooky North Carolina ghost stories next Wednesday. I really enjoyed sharing these with you all last year, so I thought I’d make it a Halloween tradition. Do the dead always sleep quietly? 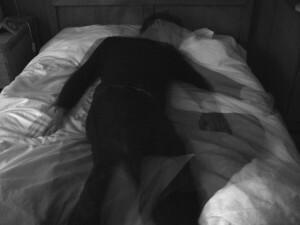 According to a 2009 CBS News poll, 48% of Americans believe in ghosts. 22% believe they’ve had a ghostly encounter. Widespread belief or not, there’s no denying ghosts have enjoyed a certain popularity lately, with a plethora of TV shows about hauntings, ghost hunters, and the paranormal. Movies also have a long tradition of relying on ghosts for scares, from the class Poltergeist to the more recent The Ring. What about you? Do you believe in ghosts? Ever had a ghostly encounter? What are your favorite movies, books, or TV shows featuring ghosts? Ghostbusters is probably the least spine-chilling of ghost movies. 🙂 I look forward to the scary stories in October. True, but I still love it! Do I believe in ghosts? Um…yes, yes I do, having had some actual “experiences.” Am I afraid of ghosts? Um…no, no I’m not. But I do love hearing spooky tales like the ones I listened to as a child, the ones the adults told when they got together on the front porch of an evening…the ones that made tingling chills shoot through my body and made the hair on my arms prickle. There’s definitely something out there, whether it’s ghosts, echoes of the past, energy we create from strong emotions…who knows. I love a good ghost story, though!